The key to longevity in the modelling world relies strongly on a model's ability to reinvent and to morph seamlessly into character according to the brief required. This chameleon-like quality is what differentiates modelling superstars from the throngs of newcomers in high rotation each show season. One model who has managed to retain the interest of the fashion elite is New Jersey native Jacquelyn Jablonski. The Supreme Model Management-repped industry veteran was catapulted into the modelling spotlight in 2008 via Ford's Supermodel of the Year competition. Jablonski's compelling take on American beauty was ubiquitous at the Spring/Summer 2010 collections with a whopping 58 show tally. The twenty-three year old's fusion of Polish, German, and Irish bloodlines lend Jablonski a look which appeals to broad cross-section of markets. Blessed with a flawless milky complexion, razor sharp cheek bones, piercing emerald green eyes, and naturally toned physique, Jablonski's global appeal is evident in recent editorial appearances for Vogue Japan, Harper's Bazaar Latin America and Korea, and American Allure. 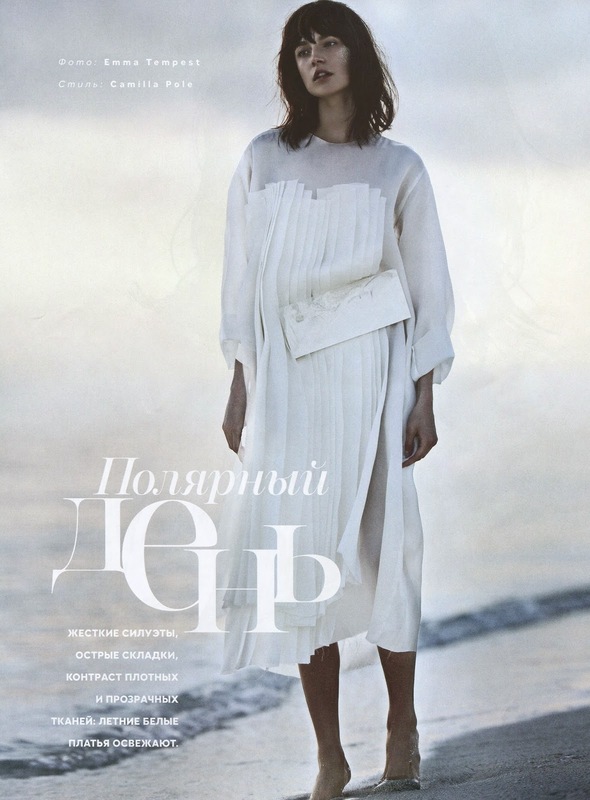 This month, Jablonski focuses her attention on the European market with an editorial turn for Russian Vogue. Jablonski poses for photographer Emma Tempest in the Maldives sporting a shaggy nape grazing bob, a dreamy serene expression, and the kind of effortless cool that ensures her on-going relevance amongst casting directors, designers, and fashion editors.